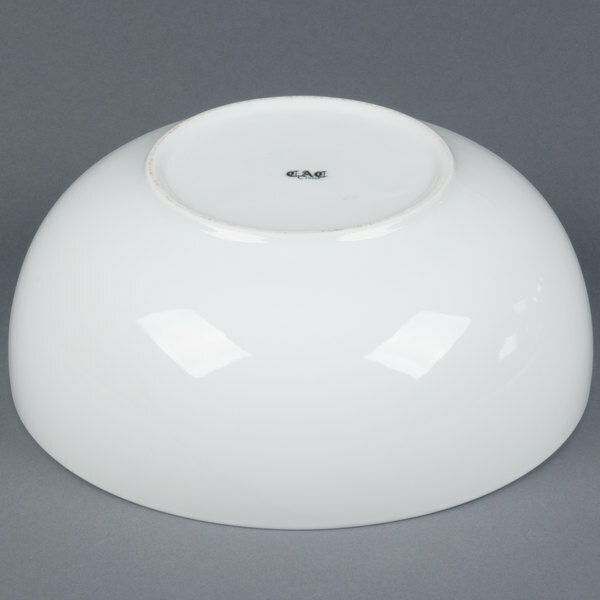 Thanks to its stunning, super white color, this CAC MXS-11 5 qt. 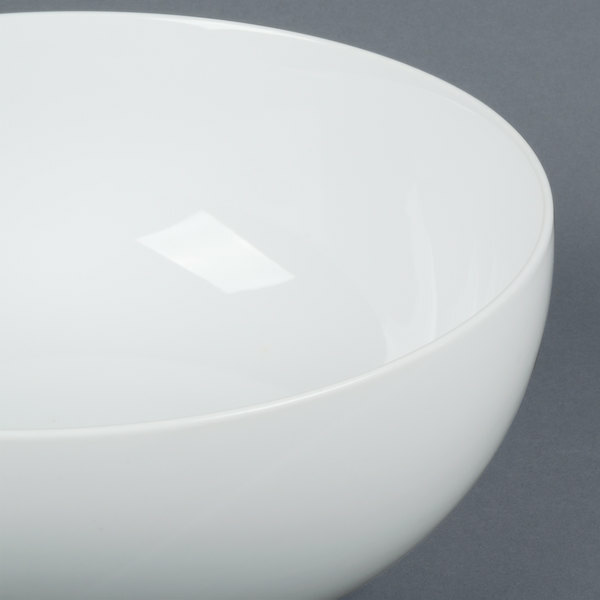 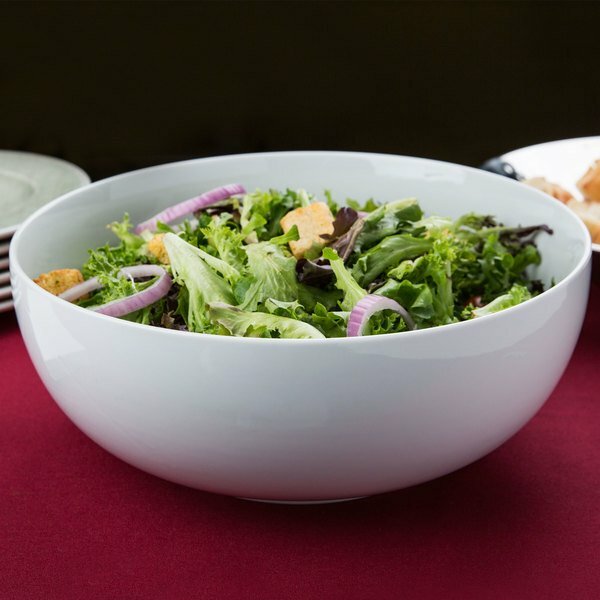 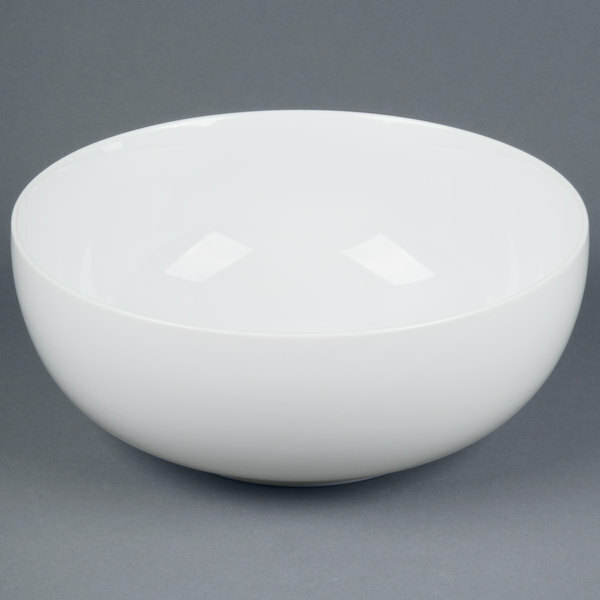 china salad mixing bowl provides a perfect backdrop for showcasing the quality and freshness of salads at your buffet, banquet hall, or upcoming catered events. 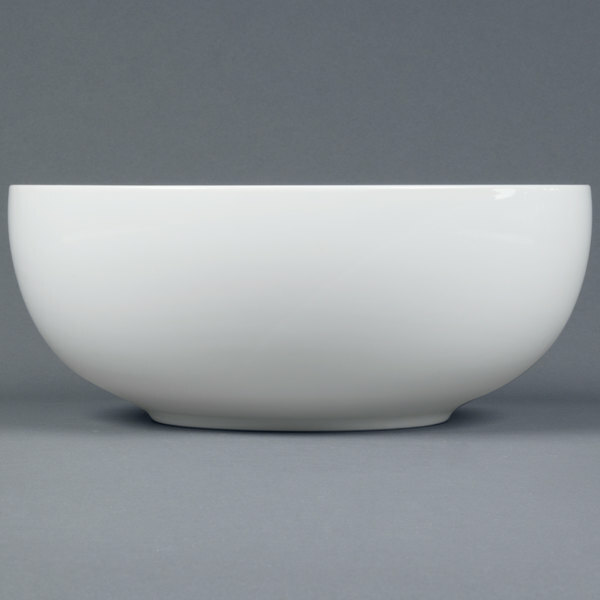 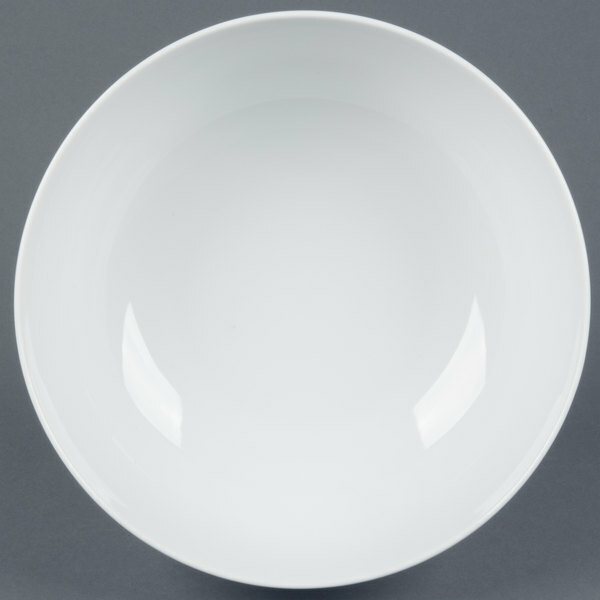 It is a great accompaniment to any of our super white china lines.